Can you believe it? 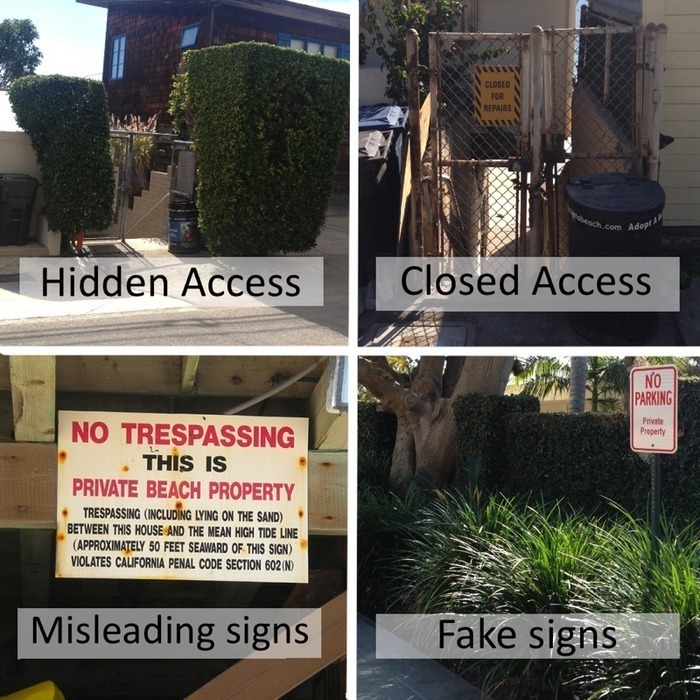 Malibu homeowners intentionally obscure public beach access areas with fake signs and hidden access. This is not only ridiculously selfish, it is illegal. Enter this Kickstarter campaign that just reached its goal of raising $30,000! 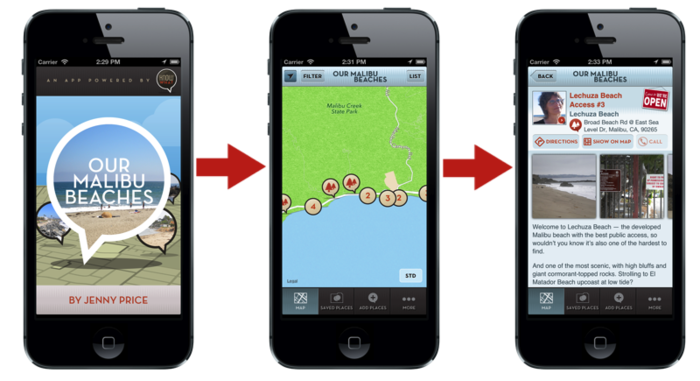 We've made an app that'll show you exactly where each public access point is up and down the Malibu Coast. It helps you park – ID those fake cones and fake garages. It tells you which signs you can smile at and ignore. It even walks you down each beach – house-by-house – to show you where on each beach you hang all day on the dry sand. Cuz even though the courts have ruled over and over and over and over to allow public access, finding and using these beaches is still really tough. Alexis Ohanian upvoted this post. Max Masnick upvoted this post. Thanks for writing about our project! You can grab the ios app right here: http://bit.ly/OurMalibuBeachesApp . We're working on the android version and hope to have it out later this summer. This is great. Way to go! Now, if we only could get open coast access in Massachusetts. Here the beach is private property to the mean LOW tide line. There's an access exception for people who are "fishing or fowling," otherwise owners can chase people off. We should have listened to Mr. Swift when he suggested that we eat the poor. What will become of our beautiful Malibu! My children are afraid they will catch working class germs! It's about time something like this existed. Next time in Malibu I'll bring my swim suit. And this app. I want the ability to post photo updates per beach access point of grumpy home owner pictures I take when they give me their get off my lawn look! @Chris Coincidentally, the first name above here that "upvoted" this post, Alexis Ohanian, is one of Reddit's founders. Take from that what you will. The access to the ocean through the yards of mantions and 5 star exclusive resorts blew me away more than even the beauty of the place. I live on the coast in new england and its terrible what these people think is ok. Thank you, you have done a public service and should receive gov. Money for it. I live on the beach in Malibu. There are plenty of access points which are difficult to find but not because homeowners deliberately hide them, but because they're just narrow and often without signage. a few years ago, my gf and i parked at Point Dume and walked along the beach to a restaurant at Paradise Cove for our anniversary. on the way back we got trapped in a small section of beach by the tide and quickly discovered that we were trapped! we were fenced in and the fences were all topped by with razor wire. we're from Hawaii where this kind of thing is illegal and completely disgusting to Hawaiian sensibilities. i'm still offended as hell by the concept of anybody owning beach & support these efforts wholeheartedly! go Our Malibu Beaches! go go go! 158 visitors upvoted this post.